The ACI is pleased to announce the appointment of Ms Jo Lunn and Dr Tony Gill as Co-Chairs of the Drug and Alcohol Network. Jo is a registered psychologist who has worked with and consulted for a number of agencies in the drug and alcohol field. 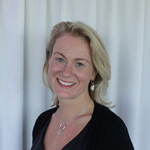 Jo has worked in an expert advisory capacity for government, lectured at university and TAFE, is an experienced supervisor and a qualified trainer. Jo has a particular interest in increasing individual and organisational capacity to work with and improve outcomes for clients with complex needs, including clients with drug and alcohol problems and mental health issues. Jo currently works with WHOs. Tony is Senior Staff Specialist with the St Vincent's Drug and Alcohol Service. He is the Medical Director of the Central Coast Drug and Alcohol Service and Conjoint Lecturer at the University of NSW and Newcastle University. 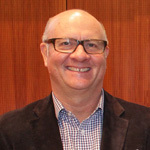 Tony has previously worked for many years in an advisory capacity for Government, providing expert clinical advice as Clinical Director of the former Drug Programs Bureau in the Ministry of Health.